Display your favorite photos from your last vacation, of your new grand-baby, or your latest hunt. 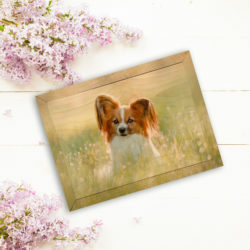 Whatever you hold near and dear to your heart, display it on the 10×8 Shimlee photo wood print and show it off to the world. 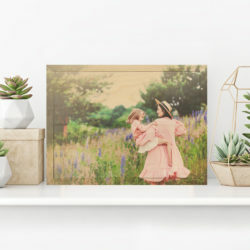 Bring your favorite memories to work with a 7 x 5 Shimlee photo wood print. The 7 x 5 is the perfect fit for a desk in your office and works great as an accent to any home decor. 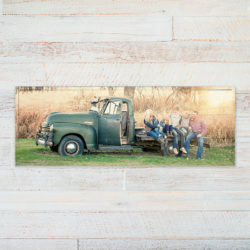 Your family photo, vintage photo of grandpa playing basketball, your trip to Colorado and to the beach all will have your guest in awe with our show-stopping 36×24 Shimlee staggered photo wood print. Not only does the size make you say wow but the unique shape will set this piece a part from all other artwork in your home. 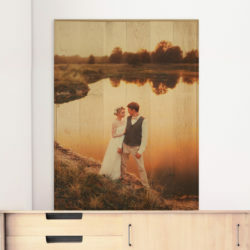 The 12×6 Shimlee photo wood print is the perfect size to display that picture perfect landscape moment. The beauty of the grain of the wood showing through the skyline will create such a unique piece of artwork. The perfect size to sit on a shelf or end table, the 12×6 Shimlee is a wonderful accent piece that will catch all your guest’s attention! 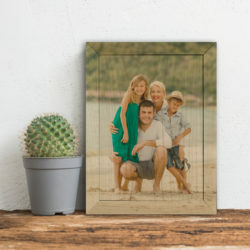 What better way to impress your guest than to having your family photo printed on an one-of-a-kind photo printed on a Shimlee photo wood print? 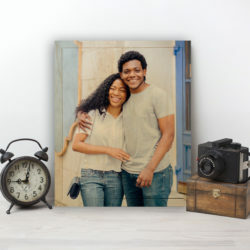 Whether it is the center of your gallery wall, or leans alone on your entry table, this size will awe everyone who sees it. Order today to make your photo stand out! 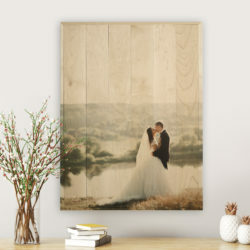 The 14×10 and 10×14 Shimlee photo wood prints are our most popular gift sizes, because they are the perfect size for graduation, wedding, shower, Mother’s/Father’s Day, and birthday’s at an incredible price. 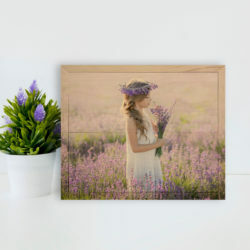 Give a one-of-a-kind gift and purchase an 8×10 photo wood print. 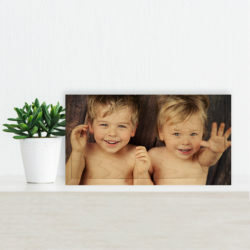 It’s the perfect piece to celebrate any occasion or to display school and sports pictures. 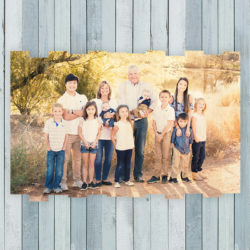 The 5×7 Shimlee photo wood print is a great size for almost any size photo.